MOTHERSHIP TWO is coming to Richard Rodgers Amphitheater this September. Harlem Dance Club would like to welcome you to participate in the creative journey and production of this dance and music festival. The MOTHERSHIP TWO Planning Committee (M2PC) meets once per month on Saturday afternoons at the Pelham Fritz Center in Marcus Garvey Park. Head to toe ovahness. Space creatures, beauty queens, new and old machines; category is intergalactic pageant showstoppers. All styles vogue. Bring it like Star Trek, Battlestar Galactica, Lost In Space. Open to all. Bring your confidence down the MOTHERSHIP runway. Category is: YOU. Open to all. Is Harlem in your soul? Show us your authenticity and style. Attitude is key. Register to walk the runway at UNIVERSAL AFFAIR here. Help MOTHERSHIP ONE lift off by volunteering with Harlem Dance Club! MOTHERSHIP ONE - a FREE interactive voyage of music and dance on Saturday, September 15, 2018 at Richard Rodgers Amphitheater in Marcus Garvey Park - is a cross-genre celebration of music, dance and community. Whether you have an hour, a day or the rest of summer to volunteer your time and talents to this journey of sound, spirit and community, we want to hear from you. Find MOTHERSHIP ONE volunteer opportunities/sign-up HERE. Beginning this Thursday, LaSharn Cooper will be teaching Praise Dance choreography to be performed live to gospel-house music on MOTHERSHIP ONE. We are seeking dancers: all ages and all skill levels welcome! No praise dance experience required. To participate, FILL OUT THIS FORM and you will be contacted with more info. This opportunity is FREE and open to all. **Costumes are not provided and there may be some reasonable costs associated with costume. The choreographers will advise on costumes during the rehearsal phase. LaSharn Cooper-Patt, has been a member of the dance community for over 30 years where she served as an active member and performed with the LaRocque Bey African Dance Company. LaSharn is an active member of the Harlem community and in the Worship and the Arts department of her local church, Bethel Gospel Assembly as the director of the One Accord Dance Ministry for 15 years, leading over 50 dancers there ranging in age from 3 to 80 years of age. 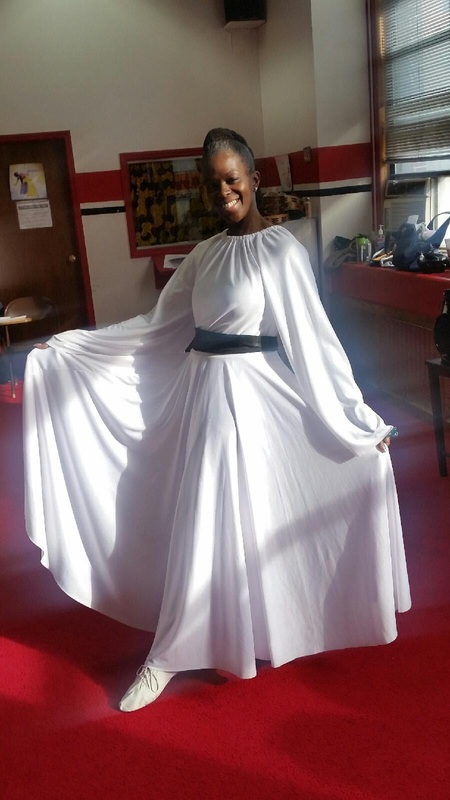 She has also served as the Praise Dance and Ball Room dance instructor for 11 years at the Phenomenal Woman Charm and Etiquette School in Harlem and is the choreographer of the annual Debutante Ball. She has actively lead the community of the Pelham Fritz Recreation Center in Harlem in Health and Wellness practices for more than 10 years, where she has had the honor of meeting and joining with the Harlem Dance Club. She loves and leads the dance community with passion through all types of dance and has seen the benefits of dance fitness in the lives of those who take classes with her in the Department of Parks Recreation Centers where she serves in a management roll. We are thrilled to announce that Angel Kaba will be the creative director for DRUM WORLD, the opening hour of MOTHERSHIP ONE. MOTHERSHIP ONE - an interactive voyage of music and dance - will take place from 4:00 - 8:00PM on September 15th 2018 at the Richard Rodgers Amphitheater in Marcus Garvey Park. It is free and open to the public. DRUM WORLD will feature a variety of performers, woven together by Angel's creative vision. The centerpiece will be a "Coming to America" inspired performance choreographed by Angel Kaba that pulls from hip-hop, African, Afrobeats and Dancehall. Angel is seeking dancers ages twelve and up to be a part of DRUM WORLD. Rehearsals will be held on Saturday afternoons from 1:30 - 3:30 at the Pelham Fritz Recreation Center in Marcus Garvey Park beginning July 21st! **Costumes are not provided and there may be some costs associated with costume. Angel will advise on costumes during the rehearsal phase. Harlem Dance Club is one of a handful of community groups from across the boroughs invited to be a part of The Let Go - a dance-based town hall—part installation, part performance—where New Yorkers are invited to express themselves through movement to music curated by some of New York’s leading DJs played as a soundtrack or mixed live. 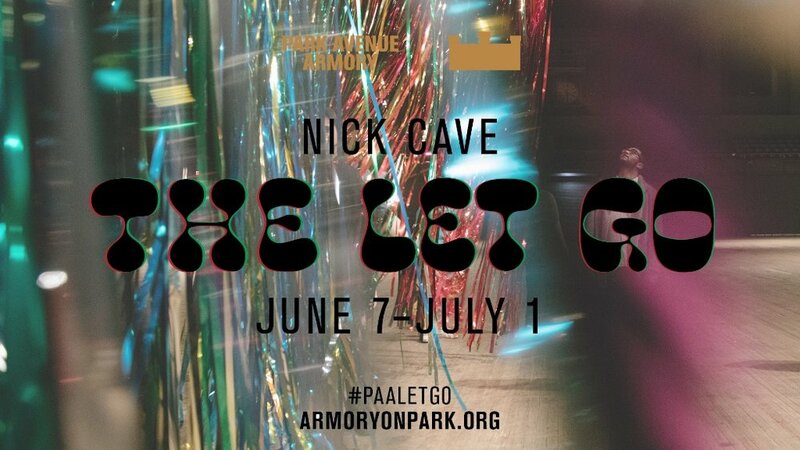 Participants will be engaged by dancers leading games of Twister, Soul Train lines, a special line dance called “The Let Go” created for the installation, soundsuit invasions, and other dance-based encounters. We have a limited number of spots available for those who want to represent Harlem Dance Club with free admission to the installation on Saturday June 30th. If you are interested, please register HERE. Angél Kaba came into the world… in Brussels (Belgium). Daughter of a Martinican mother and a Congolese father. She defines herself as a multidisciplinary artist and a lover of mixed arts and cultures in general. She begins her artistic career with ballet at the age of 6 that she pursues over than 13 years. She also studies the solfeggio, music and theatre at the Music Academy of Brussels. Beside her art path, she studies in a Business School and graduates with honors from Marketing in 2005. In 2006, she starts to work on her first musical entitled “Elya’s dream”, while using her biggest source of inspiration: children. At this time, she has already led her own performance company, Contre-Tendance. Her goal is to train future artists and to create opportunity to express themselves on stage. A native of Rio De Janeiro, Brazil has danced and taught for over 25 years, inlcuding 18 years of formal ballet training and extensive exposure to various forms of Brazilian folkloric dance. She has performed at universities, festivals, and theatres in Greece , Brazil , and all over the United States. Since moving to New York more than a decade ago, Ms. Ribeiro has held regular classes at many of the finest dance studios in New York and performed in venues ranging from Radio City Music Hall, to Yale University. She has appeared on television spots for NBC, Fox 5, and Univision. Ms. Ribeiro currently directs and choreographs for her company "Grupo Ribeiro", as well as conducting residencies in schools for children and teens. Korie Genius was born in Kingston, Jamaica and grew up in Brooklyn, New York. He has been studying dance for many years and is well-versed in many styles including Hip-Hop, Dancehall, Flexing, Krumping and Popping. Korie’s roots in the culture of dancehall has led to a career in this art form. He has been teaching the style for over five years at studios including Brooklyn Dance Project, Broadway Dance Center and Peridance both on his own and with his group, Blackgold. Korie has choreographed for and performed with many well-known artists including Mr. Lexx and Mr. Vegas and has been featured in many music videos including Bunji Garlin’s Brrt and Rebel Star’s Look What I Can Do. He has also choreographed for Syabrite and Sirens After Dark in New York City. Recently, Korie created a very popular dancehall workshop, “Badda Dan Dem,” which brings choreographers and teachers from all over the world together to share their passion for dancehall. He strives to make his class accessible to all levels of learners by mixing simple grooves and movements with more intricate choreography. He infuses each class with authentic dances that help the student to understand the roots of dancehall. Korie is very passionate about his craft and this shows through in each class he shares with his students. His goal as a teacher is to share his love of dancehall and to help all his students feel confident in the style. This class will introduce students to the history of Hip-Hop culture with basic moves for the novice dancer. The style encompasses the movements of break-dancing and body- popping with a concentration on footwork. The focus of this class is to build a solid foundation to execute popular dance moves to original choreography. Warm up includes isolations, hard- hitting exercises and a breakdown of the highly energetic routine to build stamina and increase musicality. This is our most basic level hip hop class, no previous experience necessary. Cesar has been dancing for over 35 years. He recently celebrated 34 years of vogue dance experience. Cesar has training in many dance disciplines such as modern, jazz, street jazz, Latin Jazz, Afro Caribbean, hustle and salsa. Cesar was a figure skater for many years and when he discovered vogue dance for the first time, he created his own signature style of vogue pop dip and spin with grace and precision, combining traditional military style hieroglyphics with acrobats and spins. In 1988, he walked his first ball in Harlem's Elks lodge where he won and quickly became a fixture in the ballroom scene winning many trophies. Cesar has appeared in music videos with Toni Braxton, Carmen Electra and K7, as well as in the documentaries The House of Tres, Voguing the Message and Paris is Burning. In 1989 he was selected to tour with Malcolm Mclaren on the Deep in Vogue tour. Cesar has taught vogue workshops and judged dance competitions in Brazil, Dominican Republic and Berlin to name a few. He has been coaching models on runway modeling and posing techniques since the late 1980s. Cesar recently appeared in an international fashion campaign in London for Simply Be UK and most recently appears in the Netflix movie The Get Down. Cesar taught vogue at Broadway Dance Center and has been a faculty member at Peridance for five years. He is currently a faculty member of The Alvin Ailey Extension where he teaches the first ever official vogue class in Alvin Ailey's history. Growing up in New York City’s artsy Lower East Side during the early 1970’s and 80’s, Conrad Rochester discovered his passion for music and dance. Initially, at the age of 9 with the Hustle, then later as a young teenager, he became involved in the B-Boy Scene. Self taught and motivated through competition, Conrad’s movements were elevated through local battles and inspiration from Martial Arts films. He was enticed by the fruition of this form of dance into Breaking and House through the incorporation of more foot and floor work. It was no surprise that at just 17, he was already accepted and known as a member of the Loft and Paradise Garage Movements. Through his movement, Conrad has continued to engage audiences on so many levels of life. He has had cameo appearances in several dance films including "Wild Style", "Maestro" and the most recent "Check Your Body at the Door." Conrad has also performed and choreographed for various dance companies and artists including Dance Warriors Project, Vissi Dance Company, Louie Vega, Mr. V, Mrs. Patty, The Martinez Brothers, The Legendary House of Ninja, Niles Ford's dance-umentary "In Search of the Invisible People," and James "Cricket" Coulter's Astral Kinetic Urban Project. He is constantly judging and teaching locally and abroad for various annual events such as Meeting Hip Hop Brazil, Chicken and Beer, Guardians of the Dance, Vibrant Flow Escape and his own weekly practice The Loft Practice. In early 2007, he and his partners launched House Dance International (HDI), the first Urban Dance Festival designed to provide unity and leadership in the global House Dance Community. A year later he along with a set of new partners established The Funk Box, NYC. His most recent venture is the Hangtime Party which is a free event for dance expression and community building. Conrad is best known for his signature handstands, dives and mesmerizing fluidity. His teaching style incorporates athleticism and an emphasis on free spirit movements. Edna has been training Capoeira and Karate for over 30 years: she regularly teaches workshops and leads Batizados in Barcelona, Israel, Japan, Spain, and Austria, Germany … she has also represented the US National Karate Team in, Canada, Columbia, Curacao, Japan, Malaysia, and Venezuela. And while she has continued as one of the outstanding Capoeira instructors in the world she has accumulated a dozen Karate titles: five-time Brazilian champion, four-time US Champion, four-time Pan-American Champion, two-time Ozawa International Champion, and Black Belt Magazine Hall of Fame. Edna has developed her own Capoeira Workout® a functional training program based on the movements of Capoeira, which has received worldwide recognition and acclaim as a uniquely effective training method. 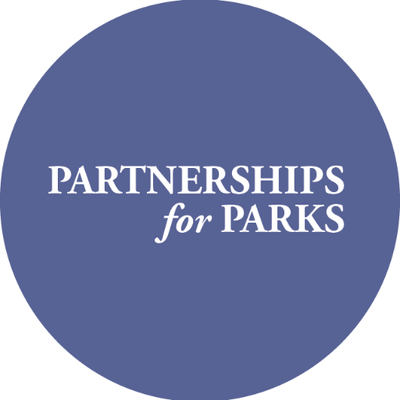 Harlem Dance Club has a Dollar-for-Dollar-Match fundraising opportunity from Partnerships For Parks. Each Dollar you donate to this campaign sponsors our Guest Artist Workshops. Over the years we have brought incredible teaching artists to teach FREE Workshops at the Pelham Fritz Center in Marcus Garvey Park including Angel Kaba Conrad RochesterCesar Valentino Daniel Chrybaby Cozie Holloway Deena Clemente Dister Rondon Jazzy J Boog Soulfire Kim D. Holmes Korie Genius Robin DunnStorenzo Dom. Nando Valoi Ousmane Wiles Tyrone Proctor Brian Henry Cliff Matias & Wandee Candelario. Our programming has concluded for 2017. Please join our newsletter and follow us on social media so that we can keep in touch about the exciting year ahead as we celebrate our 5 year anniversary in 2018. This is the culminating event of our five week Fall Performance Workshop with master teacher and Vogue legend, Cesar Valentino. Join us for live performance, nightlife fashion, DJ and dancing. RSVP to the FREE Event here. AUDITION FOR OUR 2017 ON CAMERA PERFORMANCE WORKSHOP.